When loved ones can no longer care for themselves or are recovering from injury or serious illness such as a heart attack or stroke, the entire family is affected. Our experience has taught us that successful rehabilitation and living a life with dignity involves everyone. 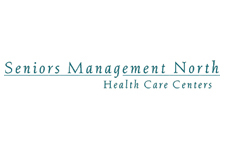 The focus of skilled nursing and rehabilitation is on the whole person beginning the day of admission when the patient meets with a team of professionals who develop a personalized plan of care. Each patient is an individual and age is not the number of years one has lived but instead their physical and emotional condition. With this in mind, a plan of care is developed with the patient and family members are encouraged to participate. We begin with personal preferences. Are you a morning person? Do you eat a big breakfast? Do you prefer showers or baths? Whether rehabilitating or in need of skilled nursing care, getting to know who someone is and what they value helps make patients more comfortable, facilitates quicker recovery and allows residents to live a life with greater dignity.